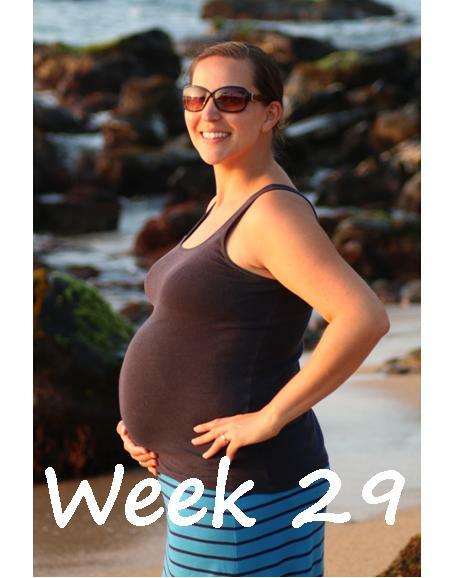 This week was pretty low-key in the baby department. I did the dreaded 3-hour glucose screening–fasting from midnight on through noon, drink the yummy (ahem, sarcasm) glucola drink, get blood drawn, sit in lobby without being able to walk around, eat, or even drink water for the next three hours as I went in another 3 times to get my blood drawn. I had this feeling that I was going to be diagnosed with gestational diabetes because I was so extremely lethargic and soooo thirsty sitting there in the lobby (compared to during the 3-hour test during Sirena’s pregnancy when I remember just being so hungry and bored out of my mind). There was a lot on the line this time around because if I was given the diagnosis and I wasn’t able to keep my blood sugar levels in check, I wouldn’t be a candidate for the birth center which would be so extremely disappointing. I received the results from the screening just a day later and I am so happy to report that the test came back great so I’m in the clear (insert huge sigh of relief)!! The only other thing of note that happened this week was that I flew to the Bay Area for the day for a work meeting. Leaving the house before 6am and getting home at 8:30pm I was exhausted and I’m just glad that day is over! It was a bit surreal leaving the meeting and my Bay Area co-workers telling me “Good luck with the birth!” because the next time they’ll see me I’ll be the mama of two…whoa! Upon our return, I was met with one of the loveliest, sweetest gifts I’ve ever received: Lucia’s grandpa (my father-in-law) bought me a bouquet of flowers and had a special card that was acknowledging that I survived a vacation carrying around and caring for not one but two babies around the island. It was such a thoughtful gesture and it was so nice to be acknowledged like that. Lucia, you sure picked a good family to join, I tell ya! 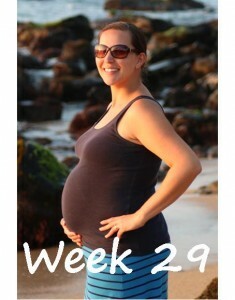 Talk about the perfect backdrop for a weekly pregnancy photo…sigh. Fun baby developments: She’s around 15 inches long and weighs around 2.5 pounds (and she’s going to triple in weight before birth!) And she is hopefully beginning to settle into the proper birthing position (head down, facing my back).